We asked Chef Adam to recommend a simple yet impressive menu which works really well to share - designed to give maximum impact without any awful stress, his menu is easy to cook, really tasty and shows a bit of flare without too much pressure! Guaranteed to make a good impression! Tip: Shellfish, we think, can be both impressive and slightly scary to prepare. Don’t panic. 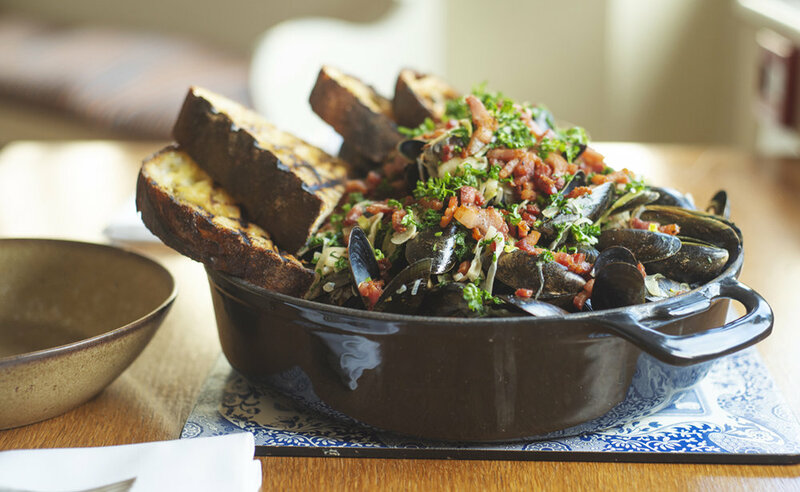 Mussels are easy… simply check all your fresh mussels and discard any that are cracked or damaged. Scrub them well in cold running water to remove any barnacles and pull away any tendrils from the shells. Finally, discard any shells that haven’t opened up after cooking. Check out the step by step videos or follow the recipes below... Good luck! Tip - If you don’t have a blow torch to brûlée the top - place under the grill instead!